Somerset Rivers Authority – now it’s Official! 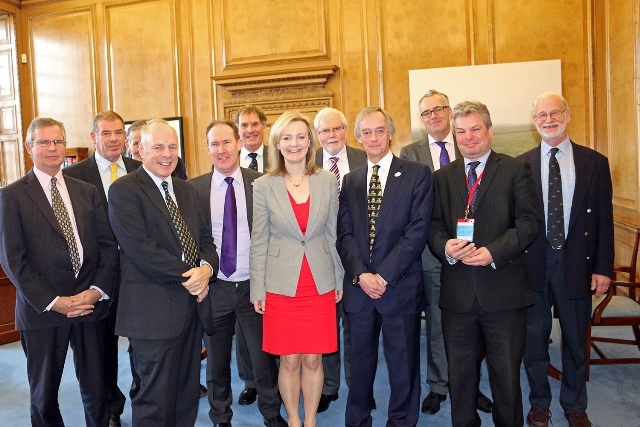 The lady in the centre is Liz Truss, Secretary of State for DEFRA. She is surrounded by men in suits, including me. This was the scene today when the new Somerset Rivers Authority, which will take responsibility to deliver effective flood defences, was given its formal go-ahead. The formal documents were signed by all the Somerset council leaders involved. The government is digging deep to get this organisation up and running. £2.7million is going in to get it operational in January. Then there will be detailed consultations about how to fund flood defences in the longer term. One year ago we were about to be deluged. Today there has been real progress, new protection and fresh hope for everyone in Somerset’s flood-prone areas.